Headset is an important part of gaming. Headset gives you an idea of your surroundings. You can listen to footsteps to get an idea where your enemy is. In shooting games, this is equally important as mouse. While buying a gamine headset, you need to take care of several factors. These factors are compatibility, comfort, microphone, sound quality and budget. Most of the people play games for long, so comfort is important. In this article, I am listing best gaming headset under Rs. 10000. If you can spent up this amount, take a look on these gaming headset. I have compiled this list by considering several factors. Here are the best gaming headphones under 1000 Rs. in Indian. You can get any one given in this list. It comes with 2 meter audio control box extension with stereo and mic plugs for PC. It is designed using a durable steel framed is comfortable with its foam covers. It also features detachable microphone that offers crystal clear audio. It is also TeamSpeak certified. 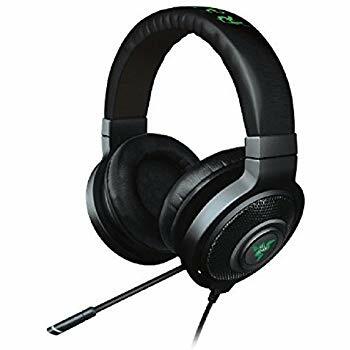 Razer Kraken 7.1 Chroma is a good and fancy headset offering 7.1 surround sound gaming experience. It is a USB gaming headset tested by professional gamers. It is capable of ultra-low latency audio processing and offer 360 degree surround sound experience. The left ear cup houses an enhanced digital microphone. It has flexible design and integrated mute button. The foldable ear cups offer maximum portability and comfortable experience. It features chrome lightning with 16.8 million customizable color options. It improves the look of the headset. Is also a gaming headphone for giving you an awesome sound while gaming. It delivers exceptional clarity and improved bass response. It also comes with intuitive volume control on right ear cup. It is comfortable with foam ear pads. It has closed back design that is designed for longer gaming experience. It also looks good to match your gaming personality. It also has noise cancelling microphone for crystal-clear game chat. The microphone is adjustable but non detachable. 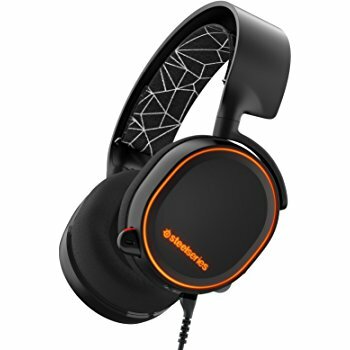 SteelSeries Arctis 5 is another good headset offering 7.1 Surround sound. It is sleep and looks good. It delivers detailed, balanced soundscape with ultra-low distortion. Volume controllers are located on one of the ear cups. It is light in weight and offers maximum comfort and durability. It has ClearCast microphone that uses a bidirectional design and delivers studio-quality voice clarity and background noise cancellation. 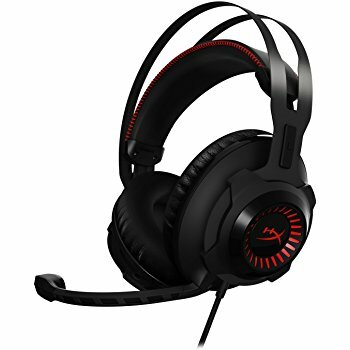 HyperX is a notable brand offering wide range of gaming headsets. 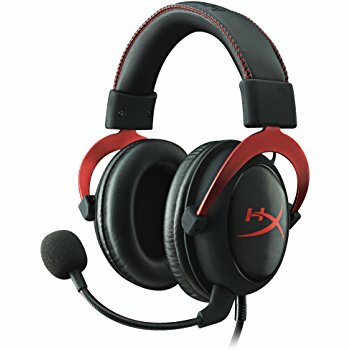 HyperX Cloud II is a good headset priced under Rs. 10000. It offers 7.1 virtual surround sound. It is Hi-Fi capable with 53mm drivers. It also comes with premium USB sound card. It is Teamspeak certified for voice quality to be clear and crisp. It also features a noise-cancelling microphone with automatic gain control functionality. It captures clearer voice quality and reduced background noise. It features independent audio and microphone volume control. 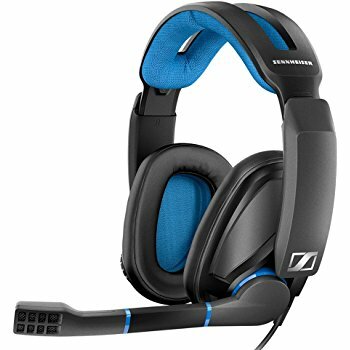 Earcups are comfortable and headband also has cushions to offer comfort for longer gaming. There could be several other gaming headsets in this price segment, but these are certainly the best. I have also made the list of best gaming headsets in other price segments. If this price segment is not suitable for you, you can go and check our gaming zone. 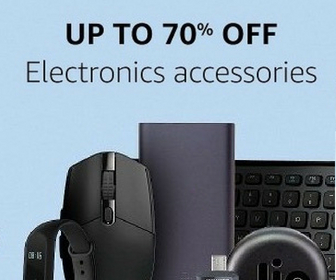 There, you will surely find gadgets for your gaming need. What gaming headset do you use? Let me know in the comments below.